2014 will be remembered as the year that pretty much everyone, even Animal Planet, got in on the scripted series game. Why, even Chicago superstation WGN America is busy producing original programming to air in between Cubs games and heavily edited It’s Always Sunny in Philadelphia reruns, as its first scripted series, the witchcraft thriller Salem, debuts April 20. 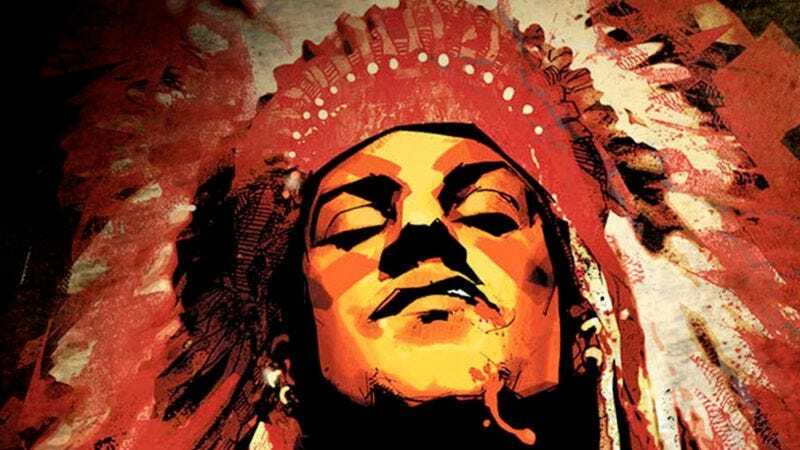 Now WGN is jumping on another hot TV bandwagon by licensing DC Comics/Vertigo’s critically acclaimed Scalped for television. Scalped, which ran from 2007 to 2012, was written by Jason Aaron and illustrated by R.M. Guera. Gritty and film noir-influenced, the crime/Western hybrid is sometimes described as a Native American version of The Sopranos. Banshee’s Doug Jung has signed on as writer and executive producer of the series; no casting announcements have been made as of yet. The series ranks as one of the longest-running in comics history with a non-white protagonist, so the pressure will definitely be on to cast a person of color in the main role. And—fingers crossed—hopefully it won’t premiere after an Atlanta Braves game.